Comment: Small deck with two steps is peeling and needs to be weatherized. Requesting free estimate. Comment: Home is brick and siding. Just need trim and eaves painted. Comment: Would like to paint dark oak kitchen cabinets to white. 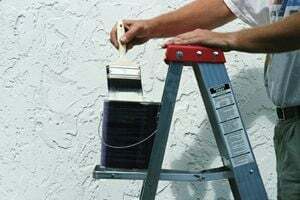 Gary Lord Wall Options, Inc.
Milford Painting Contractors are rated 4.79 out of 5 based on 766 reviews of 42 pros. Not Looking for Painting Contractors in Milford, OH?